Numilog today announced they will be licensing Sony DADC’s eBook DRM solution to further advance their strategy to offer state-of-the-art distribution, retailing and reading experiences, benefiting both its partner bookstores and their customers. Sony DADC has been an innovator in Digital Rights Management (DRM) solutions for a broad array of entertainment products, including music, movies and video games. Its User Rights Management System (URMS) is a strong yet flexible system for eBooks, publishing, and other written digital content system based on the open-standard Marlin content protection system. Recognized as a leader in eBook distribution, retailing, and reading, Numilog has extensive eBook experience and expertise. 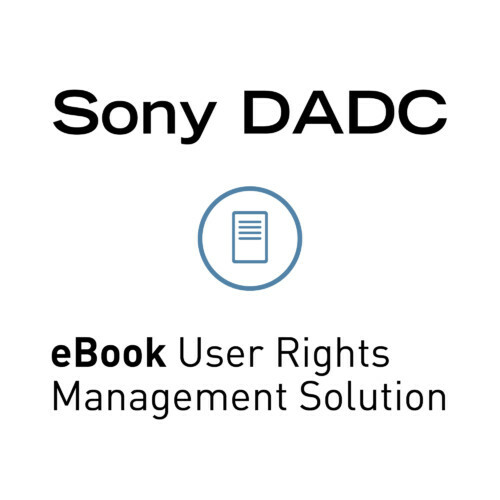 Now to better serve the eBook marketplace, it has added the Sony DADC DRM to its eBook delivery infrastructure. Sony DADC’s URMS offers retailers and libraries a powerful yet lightweight API-based system for protecting content and authenticating users. The system is designed to better serve today’s increasingly diverse eBook business models. URMS provides publishers a much stronger DRM that can be updated as needed. It also simplifies the user experience as it does not require third-party ID’s for content downloads. Sony DADC has been working closely with the Readium Foundation and URMS is fully compatible with the Readium rendering engine. “The eBook market requires using transparent, reliable and naturally interoperable DRM solutions, especially for epub. Sony DADC DRM solution offers all this and innovative ways to build new business models, hence to develop the B2C and the B2B market, which is a key factor of success for publishers, e-distributors and resellers” states Numilog’s Founder and CEO, Denis Zwirn. Based in Paris and created in 1999, Member of the Readium Foundation, Numilog is an independent French company, pioneer in the eBook market. It is the leading French eBook aggregator and e-distributor and it offers its distribution services to French and some other worldwide publishers (in English, Spanish, and Portuguese). Numilog promotes its catalog of eBooks (600.000+) in French speaking countries through its own retail sites in France and USA as also through a large network of retailers. It covers both B2C and B2B markets through digital lending solutions. For end users, Numilog offers its own cloud-based reading applications for iOS, Android, and Windows 8. For more information, visit www.numilog.com, www.ebookezvous.com, www.numilogpro.com.